This Campaign Page is for the Wrath of the Righteous campaign. Leave Comments here to talk to your fellow players! WAGE WAR AGAINST DEMONKIND! You are in Kenabres, one of the cities on the border edging the Worldwound. However, the ancient wardstones that have kept the demons in check are starting to falter. Can you stop the armies of Deskari, the demon lord of the Locust Host, from overrunning all of Golarion? 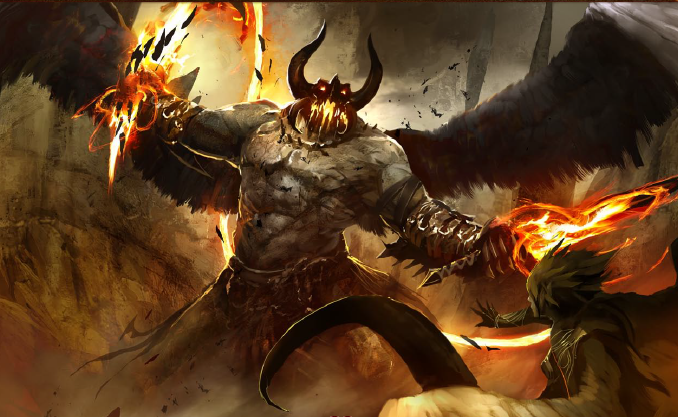 Because you are taking on demons and their commanders, this will be the first Adventure Path to use Pathfinder’s upcoming Mythic Rules (see preview here) to make your characters almost into demi-gods. ABILITY SCORES: Use these scores: 15, 14, 13, 12, 10, 8. Say what your race and class will be below! From what I know of you, you should probably start with thinking “what is an interesting character I might play?” Awesome gramma it might be, but do you have some other ideas?